Sault has hosted a variety of corporate launches over the past 3 years. 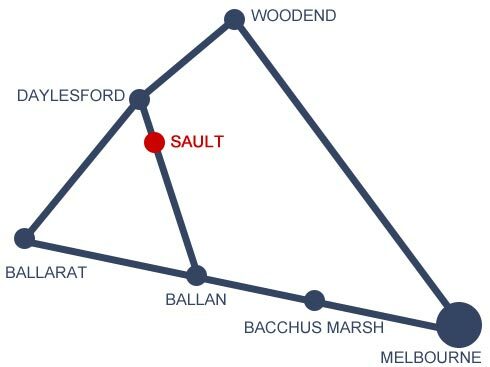 Located 1 hour and 15 minutes from the heart of Melbourne, many car companies have chosen Sault as their dining destination due to the scenic drive and close proximity to both the Airport and the heart of the city. Sault also has an expansive car park which lends itself perfectly to Car Launches or car club lunches. Our head chef can devise a wonderful menu to suit the day utilizing the vast array of regional produce the abounds the area, as well as ensuring that the timing of the stop-over is perfected to suit the days driving. View some of our previous menus for Porsche, Mercedes and BMW corporate functions. With sweeping views over our own private lake and the beautiful Wombat State Forest guests and writers can enjoy a scenic stop-over while they are test driving the latest car. Sault offers a range of options for groups of all sizes celebrating family dinners, Social Groups ‘get togethers’, school reunions, anniversaries and more. Our Venue Manager and the whole Sault team can stylise a special event around a theme of your choice, planning a very memorable event. Creative and imaginative event management will ensure the absolute success of your groups get together. To discuss how we can assist in planning your next Social function call us today.